The tech giant last year was in advanced talks to take the two-story, 14,000-square-foot space at 845-853 West Randolph Street but has called off the deal, according to the Chicago Tribune. A Google spokesperson declined to comment on the store plans, and Newcastle officials could not be reached for comment, the Tribune reported. The store would have been the first permanent retail location for Google, which has opened pop-up shops in the past to sell its devices, including one last year in Bucktown. 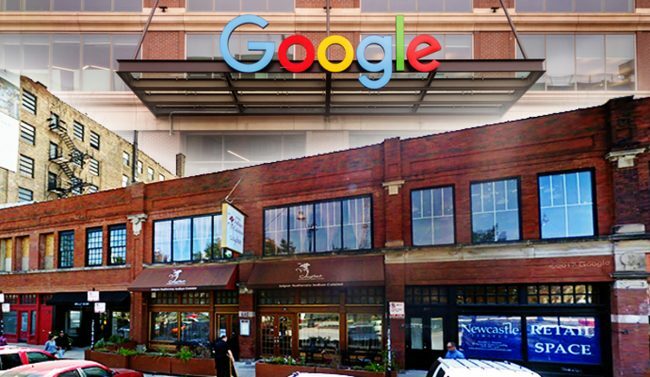 Google has more than 1,000 employees in Chicago, and its 372,000-square-foot Midwest headquarters at 1000 West Fulton Street played a key role in the ongoing transformation of Fulton Market.